My Holiday party inspiration look . 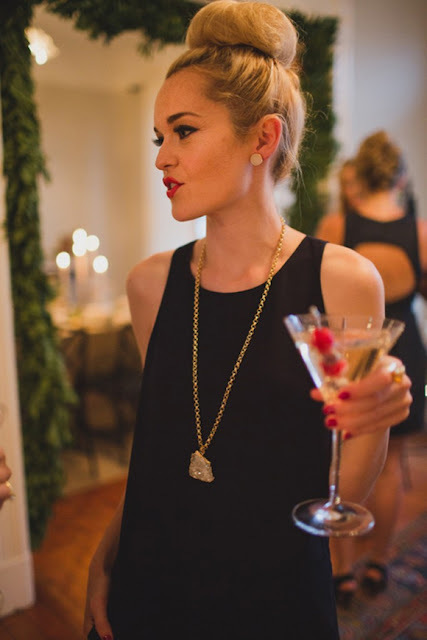 . . little black dress, minimal gold jewelry, red nails and lips, swept up hair and cocktail in hand! Viola!